To be totally honest with you, I hadn’t even heard about Oslo until a few months ago when my friend Sam went on a trip there and couldn't stop talking about the incredible architecture of the Opera House. When I first did a rough-sketch of my route two weeks ago, I considered adding Norway in, but thought maybe it made more sense to save money and spend more time in cheaper countries. Then, coincidentally, my friend Kathryn took a Norwegian vacation while I was in London, and her pictures of the fjords just sealed the deal for me. As my friend Megan wisely advised me, it’s important to find the right balance between planning your trip too tightly & knowing where your breaking point is. I’ve realized that the sweet spot for me is 1.5 locations – I need to have the next city’s transportation & accommodations booked, and then at least the 2nd city’s transportation booked since that determines the previous city’s length of stay. So while in Copenhagen, I booked my tickets to Oslo! Unfortunately at this point, I was still a rookie traveler (oh how I’ve gained so much wisdom in just a week..) and yet again idiotically booked a mid-day-daylight-sucking flight. While this gave me more time in Stockholm, I think mornings are essentially a waste because very few things are open before 9am besides coffee shops. Nevertheless, I had about 20 hours in Oslo to make the most of it! I felt like this was the first night I started getting more into the groove of the freedom that comes with solo traveling. I set out with rough destinations in mind, but then took the liberty to stop in a random Christmas market for an hour because the Norwegians are way more generous in terms of free samples and who doesn’t love free samples? I was delighted to discover one of my new favorite treats: Kransekake, an egg white & almond flour cookie that has a macaron-like flavor but is firm yet chewy in consistency! I bought a bag because I couldn’t justify taking more than one sample and knew I would regret it otherwise. Side Note: Interestingly enough, I also stumbled across a UNICEF stand at the Christmas market that was raising funds for the Syrian refugee crisis. I shared with them about the spontaneous fundraiser for UNICEF that I decided to throw before I left the States and they were elated to hear how many people had joined in! For those of you that don’t know, I felt called to move beyond liking Facebook statuses into actually doing something about it: I decided that if I could find 50 friends to donate $20 or more to UNICEF, I would donate $1000 myself. Thus far, we have about 35 people who have already donated, and I would truly truly truly appreciate if you considered being one of the last 15! Shoot me a message with a screenshot of your receipt to let me know you’re in! For dinner, I did some research beforehand for some cheaper eats in Oslo since I heard prices can be exorbitant. I found some recommendations by a travel blogger, The Fluffy Mojito, and picked Fiskeriet because of their famed fish & chips. I did, in fact, receive an incredible dish that was superbly fried on the outside yet flaky on the inside. Even better, though, was finding such wonderful company during my meal with one of the girls who worked there, Christine! We had such a great chat about our own travel experiences, our backgrounds, and places we still wanted to go. She recommended that at some point I try and squeeze in an extra visit to Passau, Germany and hilariously said "I thought I was in a fairytale...and I live in Norway which most people consider a fairytale!" Christine, I hope that you are reading this - thanks so much for the great conversation! It's been so strange to eat meals by myself, but having a new friendly face to share a conversation with makes things so much more interesting. Speaking of being alone, I had my first experience of being supremely weirded out. I had heard great things about the Vigelandsparken Sculpture Park and saw that it didn't close until 9pm or so. I spent 45 minutes walking out of the way to go see it thinking it would be a small cluster of sculptures that could be done in 20-30 minutes. Instead, I realized it was an extremely vast park grounds with sculptures scattered around...and barely any people. The weather was particularly misty in Oslo as well, so factor in poor lighting, fog, and sculptures that were all in weird human form, and I noped noped noped my way out of there. There was a part of me that was frustrated because I just wasted an hour and a half of walking, and barely went in, but it just seemed like a prime scene for a casual Wednesday night murder and I didn't quite have that on my bucket list. On my way back I was trying to think what the situation would be like were I traveling with others. To be honest, it was so empty that I don't think I would have gone in even if I was traveling with another girl friend. In fact, I'd probably hope she suggested we turn around so I didn't have to admit I was creeped out. Would it have been different were I traveling with a guy friend? Possibly. But the minute he expressed being creeped out, I would have bolted too! Alas, sometimes you just have to skip out on the fun to make a wiser decision, but just remember those wise decisions lead to even more fun! Hooray for no murder! Anker Hostel - my first non-recommendation! Or rather a semi-recommendation, because it seems like hostels are sparse in Oslo in general. I found the place to be rather drab and sterile, unfortunately. The interaction with the staff was rather transactional & they weren't particularly helpful. There weren't enough outlets in the room & the WiFi barely worked outside of the lobby. The front desk person at the hostel said everything was walkable in Oslo, but I wonder whether it would have made more sense to get a transportation pass of some sort. Distances weren't impossible for most things, but I had to walk over 45 minutes to get to the sculpture park. It wasn't as compact as I expected! One of the biggest differences about my #1Month2Wander is how unplanned my itinerary has been! In all my previous travels, I have taken the time before hand to write out a detailed itinerary from city to city and attractions I want to see. With this entire trip being planned so impulsively, though, I suddenly found that everything I needed to do in New York City by the end of the year, I now had to do in one week. There was just no way I would be able to spend hours planning out my route, booking hostels, etc. I opted to buy a one way ticket to London & eventually a flight from Dublin to San Diego for Christmas, and that was essentially it. 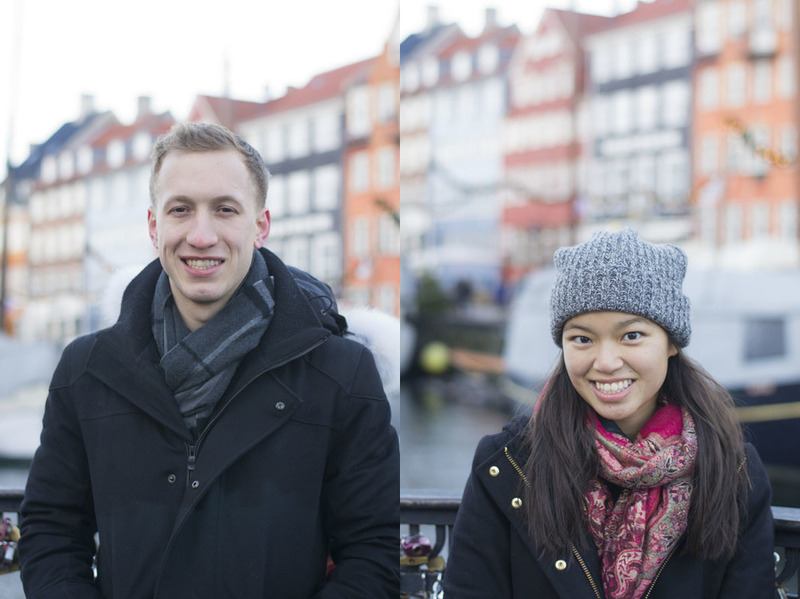 Patrick’s desire to go to Copenhagen changed my first weekend's plans, and then as I was browsing flights in Stephen’s flat, I found a ticket to Stockholm with Ryanair for $10 in the middle of a Tuesday. Boom. Done. That alone determined I would be staying one extra day in Copenhagen beyond Patrick & then rerouting my travels towards Stockholm. What a world that we live in where I can pay just $10 and get transported to another country on a flying hunk of metal! As cheap as the flight was, though, I definitely realized some downsides to this option later on – for one thing, daylight is literally fleeting in December. The sun rises around 8:00am and sets by 3:30pm, meaning the “myth of the 1 hour flight” (which I was already aware of from my semester studying abroad) took out a solid chunk of daylight to explore the city. Unfortunately as I planned things further & tried to prevent my following cities from running into the same problem, it meant that at max I could only spend 24 hours in Oslo! So what do you do when life hands you yellow lemons? See that the grass is greener with Hannah Greene, of course! Hannah is a senior at UPenn who is in my sorority, Chi Omega, and when she saw I was planning on visiting Stockholm she reminded me of her own semester abroad (chronicled in her blog here) and sent over some recommendations! When I told her about my daylight dilemma, she literally responded back with a full itinerary with screenshots of my walking routes in case I didn’t have WiFi. I kid you not. This girl goes ALL OUT and I love it! It was both so unexpected (because who would expect something this generous?!) yet so expected (because lets be real, us Penn Chi O girls know how to run the world and get. sh*t. done.). But all in all it was so incredibly helpful to fully maximize my Stockholm experience. So after arriving in the evening at my hostel, I ran off to go get a hot cocoa from Chokladkoppen, walked around the old cobblestone roads on the island of Gamla Stan, and headed to Kungstradgarden (the King’s Garden) for Christmas lights and to check out the ice skating rink. Hilariously, there were a couple of boys playing American football while skating which seems both ridiculously fun and ridiculously dangerous. For dinner, at Hannah’s strong urging of course, I decided that despite the price, I was going to treat myself to a meal of authentic Swedish meatballs at Prinsen. I am happy to report that it might have been the best decision of my life. I will dream about these meatballs for the rest of my life, you guys. You know that moment when you bite into something truly well-made and delicious, and this extra special taste bud in your mouth that you forgot about gets activated? It just jumps out and goes “Oh my god! I’ve been hiding for so long, but now I have life again!” Yeah, that’s what happened on my first bite. I normally get food fatigue halfway into my meal, and instead I kept nibbling on my lingonberries. Even when I was contemplating whether I was too full to eat more, I held onto my fork so that the waiter wouldn’t try to take away my plate. That’s commitment to food, my friends. The museum was incredible! There was such a clear distinction between how other museums display photographs and how a photography-specific museum displays photographs. Most museums are brightly lit and display a collage of photographs together on one wall – visually it does’t quite invite you in to truly view the photograph. Fotografiska, on the other hand, had dim environmental lighting with strong lighting that enhanced rather than altered the colors. One of the main exhibits was of Martin Schoeller’s work, with enormous prints of public figures. There was such a hyperrealism to the photographs, such a different way of viewing these people that you see plastered on media each and every day. It was also interesting to see how his rarely unaltered style put all of his subjects on the same leveled playing field, providing an objective view of each person. Getting down from my lofty high horse, though, can we talk about the fact that Taylor Swift's photo is right next to Obama's? That's literally the first thing you see when you walk into the entire museum. Props, girl. Props. Finally, in the morning I woke up at the crack of dawn to grab a Swedish cinnamon roll (kanelbulle) at Fabrique bakery, took a quick run through the food market Ostermalms Saluhall right when it opened, and then walked across the bridge to the island of Djurgarden to see the boats and architecture! If I had more time, I would definitely have tried to go to Skansen (open-air museum & zoo) or the Vasa Museum (enormous Viking ship museum) since I heard both are incredible. Alas, I suppose I’ll have to come back again! Many many many thanks to the incredible Hannah Greene for maximizing my spectacular Swedish experience under such tight time constraints!! I stayed at Skanstulls Vandrarhem Hostel (might just be listed as Skanstulls Hostel on some websites) and quite liked it! I stayed in a 4-bed mixed room, but since it is off-season there was only one other guy in my room. The room had individual locks & lockers, enough outlets, and a light by each bed which is pretty crucial. The bathrooms were clean and spacious with plenty of toilets, showers, hooks, flat surfaces, etc. They also had a really cutely decorated communal kitchen & dining area with free coffee / tea / pasta. Location was great as well – it was close to the T and in the hip newer neighborhood of SoFo. The only two things I didn’t like was 1) the front desk hours of 8am-8pm really limited my ability to check-in late and check-out early, and 2) you had to pay to rent sheets which I find quite annoying. Ultimately, though, I’d definitely come back again! Be very careful with which airport you are flying in and out of! When I bought my $10 ticket, I didn’t realize there were 3 & that I would be flying into Skavsta which is about an hour and a half outside of Stockholm. This, again, took away from my daylight! I took the Flygbussarna (fancy coach airport buses, easily bookable online and when you get ther!) to T-Centralen, the central station. On my way out of Stockholm, I again took the Flygbussarna, but this time to the Arlanda airport which is much closer. In the city itself, the public transit system is pretty great! I bought a 24 hour pass and used the subway multiple times & even jumped on a tram at the last minute when I read some signs & realized it was going towards my destination. It probably helps that I have multiple years of East Coast public transit under my belt, but I still think others would have an easy time navigating the area! One thing interesting to note, is that Swedish taxicabs aren’t fare-regulated! I wasn’t planning on taking a cab to begin with, but just in case you are, heads up! Prinsen – all you need in life, really. It’s a more upscale restaurant, but I didn’t get any judgment from the waiters for being in my cardigan, t-shirt & jeans. Candy – Hannah made a great recommendation to stop in the Presbyran since Swedish candy doesn’t have high fructose corn syrup. The watermelon tubes (?? I don’t know my candy terminology) were definitely my favorite! However, I couldn’t tell the difference visually between some tasty licorice and some horribly disgusting sour-prune-flavored black candy, so…be careful with that one. Can't believe I've done 3 blog posts thus far! Onward and onward! I've officially been traveling for one week on my 1Month2Wander trip, and am astounded at my own ability to semi-live blog my travels yet again. On Saturday, I woke up at the crack of dawn to fly from London to Copenhagen with my old coworker, Patrick, or as I lovingly like to call him, my "work husband." Pat was one of the first people I met as an intern in banking - I can't even imagine telling myself 3+ years ago that I would end up doing a weekend trip with the kid I sat next to in intern training! Yet, here we were -- Pat had moved to London for his next job & jumped at the chance to explore more of Europe. I've started judging cities by whether or not I would return for a longer stay. There are some cities with incredible tourist spots, but after you've seen them all once, I wouldn't necessarily want to spend a week there hanging & exploring the city itself. Without a doubt, Copenhagen passes that bar with flying colors. We kept referring to CPH as "the cool older sister" of the neighboring regions because it just had the best vibes. I shouldn't be surprised because the Danes are well known for this, but everything was just so brilliantly designed visually: from the casual store fronts to the coffee cups to the offices. The architecture was a gorgeous mix of old & new, and everybody was just downright trendy and hip! The Danish word "hygge" roughly translates into the phrase or concept of "coziness" or "togetherness." We honestly saw it exhibited across the entire city - every coffee shop or bar was filled with a million candles, warm blankets & heaters for outdoor seating, and of course glogg their main mulled/spiced wine drinks. Technically the proper pronunciation of the word is "hooga" but Pat & I misunderstood it as "hoogly" the first day and it just stuck from there: "I'm having such a hoogly time! This is such a hoogly spot!" One thing I was so impressed by was the extent the Danes celebrate Christmas. Pat kept joking that we were in Whoville because we seemed to run into a Christmas market every other turn, found adorable Santas in every shop, and then we went to...Tivoli. There are no words that can properly describe Tivoli. The place is seriously Christmas on steroids, and that's in addition to the fact that it's the 2nd oldest theme park in the world! We had zero expectations when we walked in & thought it would just be a quick market, but were astonished at the amount of old-school roller coasters, enormous Japanese pagodas, Taj Mahal inspired hotels, full sized Viking boats that were actually restaurants, and not one, but two artificial mountains. In terms of typical sights, I highly recommend the Copenhagen Free Walking Tours! We did both the Christianshavn Tour and the Grand Tour of Copenhagen, both of which were well organized, historically interesting, pretty darn hilarious, and probably the most efficient way to see a large amount of the city in a short amount of time. Fun fact: the bluetooth symbol is based off of a Danish medieval king which is why the symbol is a Viking one & the way Princess Mary met Prince Frederick is practically the real-life story line of The Prince & Me (in other words, ladies, it can in fact happen to you!). Christianshaven – the “Free Town” of Copenhagen that has essentially been an experiment of a free society. Interesting that marijuana is sold so openly in little stalls, but since it’s technically not legal (like Amsterdam), everybody wears masks to hide their faces. Super fascinating to just walk around! Coffee Shops: The Living Room & Café Paludan were both great hoogly options! Food Markets: I went to both Copenhagen Street Food (located on Paper Island in the harbor, super trendy & great for dinner) and Torvehallerne (a food hall / supermarket that was great for lunch). A typical Danish item is the open-faced sandwich “smorrebrod,” and while it was really tasty, I think I have a weird aversion to cold sandwiches in general. At Torvehallerne I went to Grod which serves a variety of porridges that are really incredible – great example of taking something old & turning it into a new concept! We took a train from the airport to Copenhagen Central Station for ~35 DKK each which was surprisingly cheap! Copenhagen is an extremely walkable city - we didn't have to take any busses or subways! It was never more than 20-30 minutes to where we needed to go. The city is extremely bike friendly, though! We took a 45-50 minute train out to Helsingor to visit the Kronberg castle which was about ~100 DKK each. The ride was very smooth and they have a scrolling marquee that tells you the station stops so you don't need to worry about missing announcements. I snagged a room at the Copenhagen Downtown Hostel for the two nights on my own. I was mainly attracted to the fact that they have a free dinner at 6:30pm every night where people can easily meet one another (you have to snag a seat by ~6pm though). The hostel was very centrally located & I ended up hanging out later at night with 3 awesome Italian guys & 1 Swiss girl from dinner! The hostel itself is huge, but it has a really fun vibe & was decently clean. I would recommend it! Note: All photos in this post were taken on an iPhone, not a DSLR. Oh how quickly things can change! 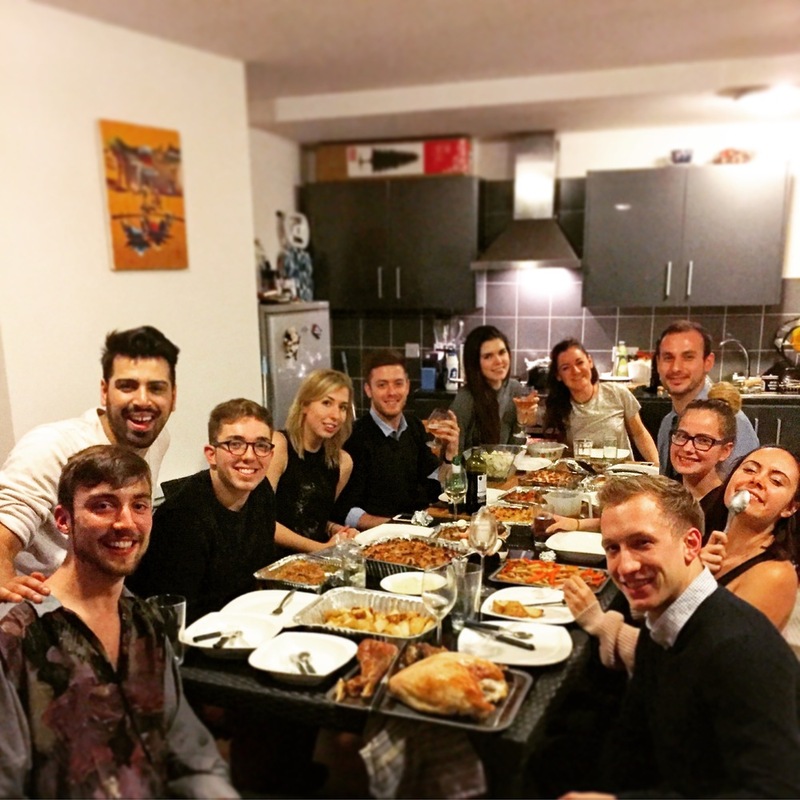 In just a few short weeks, I went from job searching to sitting in my friend Stephen's flat in London, enjoying a beautiful Thanksgiving dinner. In an exciting turn of events, my social impact job search has come to a close, and I am ridiculously thrilled to start a new position in January 2016. Fortunately, this meant that for the rest of 2015, I could take advantage of my true time off by backpacking through Europe! Since I unabashedly love unnecessary hashtags, I'm calling this one #1Month2Wander because that's truly what it is. After embarking on my incredible Jordan Solo Trip, I realized I was completely capable of setting off across the world by myself, albeit with a travel group. With the encouragement of my friend Megan, blogger over at Drifting Not Aimless, I decided I was in fact going to backpack without a firm plan! Not going to lie, it has only been a few days in, and I've bounced back and forth between having mini freakouts and total zen. On one hand, I wanted to kick myself this morning when I realized that a Eurorail pass probably would have made more sense for me given the unpredictability of my travels, but it requires enough planning to anticipate the 3-4 days of shipping. Not to mention, nearly everything is just so much more expensive at the last minute! On the other hand, it's pretty awesome having total freedom over my schedule - my weeks have been in flux nonstop & I like that I'm not particularly tied down to anything at the moment. One thing I did know, though, was that my trip had to begin in London. Just a month ago, I was lamenting that I couldn't come back to London for Thanksgiving this year, only to discover last minute that in fact it was possible. 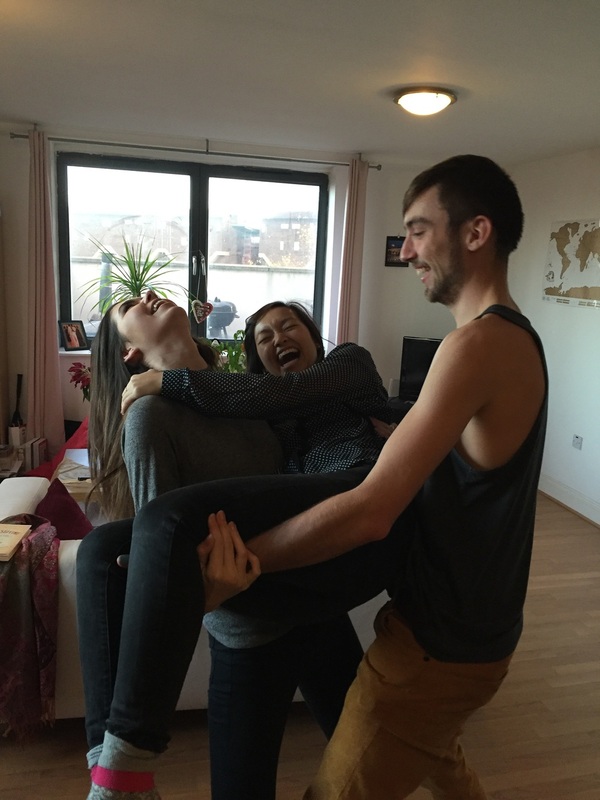 My incredible friends Stephen & Beccy threw open their arms and welcomed me to London with literally only a week and a half's worth of notice. Honestly, I'm so happy I decided to start my trip here! Ever since my ABCD Trip this fall (yes, yes, I'm rather behind on blogging about that...), I've been more aware of the way a trip's "flow" impacts my experience. It's been wonderful starting off a really big trip on a little bit more stable ground; a homecoming of sorts. I've already seen most of the big sights, so there's no franticness to the pace of my day. I'm here to have good conversations, get my bearings on the world, spend the day cooking American dishes for a medley of British & Canadian friends, and explore new parts of London that the tourists don't get to see. There's also the relief in being able to easily navigate the tube system myself & knowing I should stop at Boots to pick up a toothbrush or Oxford street to replace my broken boots. I love that I don't have to get fish & chips this time around (although I might), and instead Beccy and I can stop by her local Malaysian-Thai restaurant for some good curry laksa. I love that I don't need to see Big Ben for the thousandth time, and instead can spend a solid hour with Stephen at the temporary pop up British Museum of Food sampling chocolate in sound booths, sitting in massage chairs to feel what it's like to get digested, and jot down our recommendations of what a hopefully full-time exhibit should include. There's just such a feeling of comfort and familiarity that has made this such a great time already. For that reason, all of these photos are just iPhone snapshots rather than DSLR quality photos. Bringing it back to my traveling roots and original style of blogging, really! 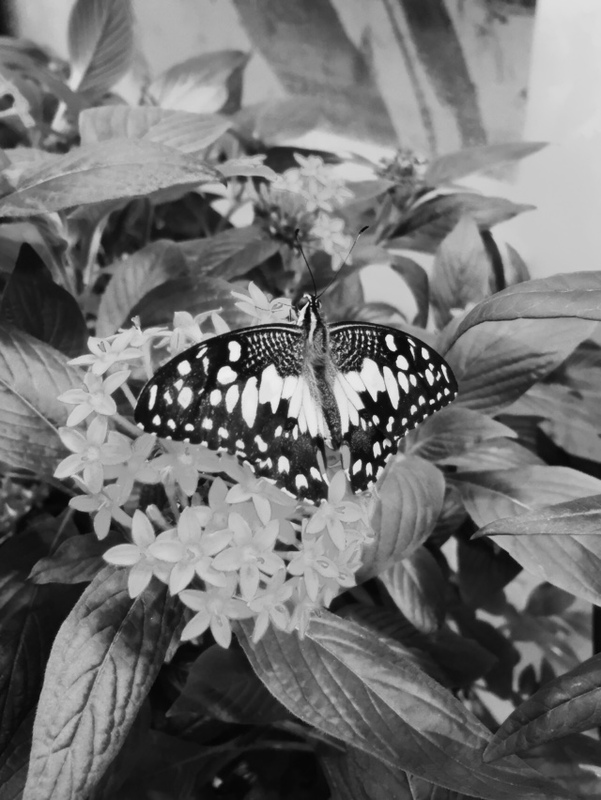 Most of the snapshots below are of the British Museum of Food's butterfly effect room highlighting the importance of butterflies in the ecosystem for pollination. 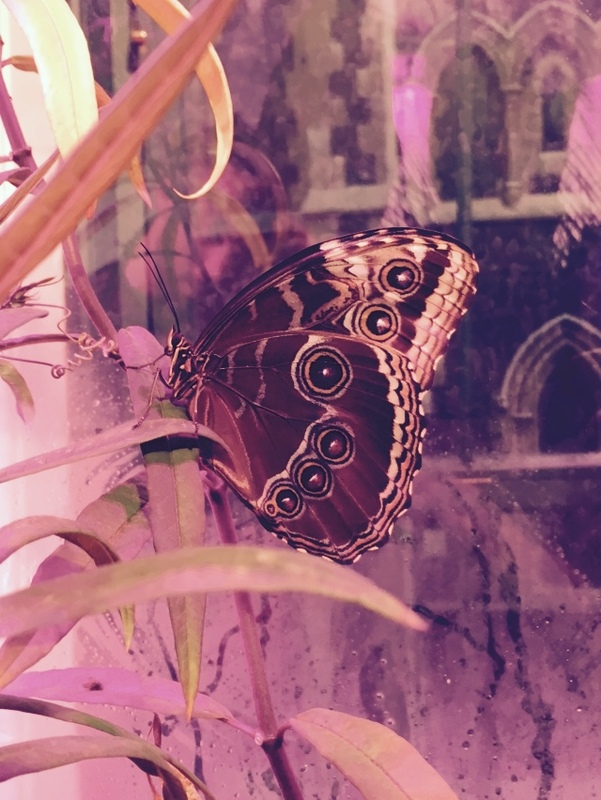 We were so impressed that they were able to build a complete rainforest atmosphere and that we could even watch a few butterflies coming out of their cocoons! 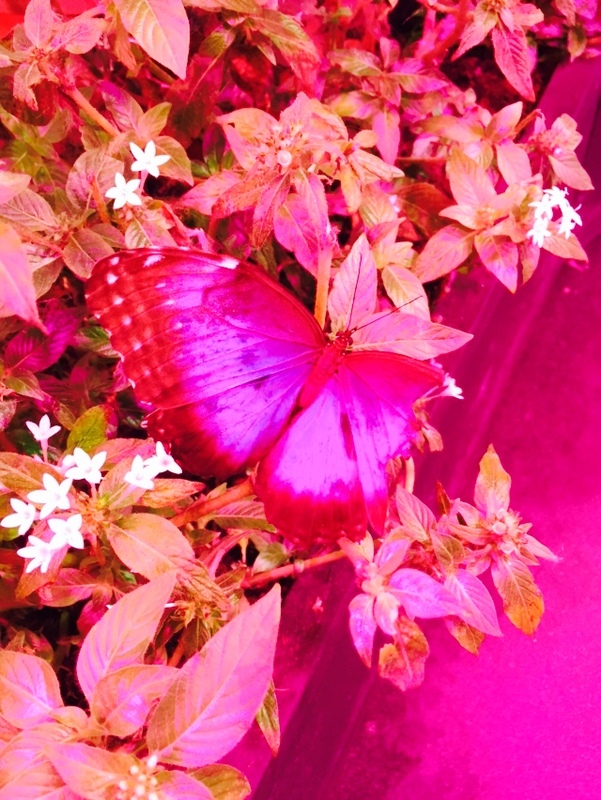 The pink lighting is due to the type of lamps they had to create the environment. We literally stumbled across the exhibit, and couldn't be more thankful for it - it was only 5GBP, so I highly recommend it. Up next? Copenhagen with Patrick! I'm going to do my best to semi-live blog my travels if I can! A traveler by wanderlust, an overthinker by nature, a foodie by nurture, an observer by birth, an extrovert by 3rd grade, a college grad by opportunity, a working woman by choice, and a christian by faith. But for all intents and purposes of this blog...a photographer. Though I generally do not do photoshoots for payment, I am very open to collaborating with other artists within New York City as well as finding creative solutions that can be mutually beneficial. Options include, but are not limited to, trading services, donations to a 501(c)(3) charity, pro bono work, and more. Feel free to contact me to start the discussion!